“One of DC’s most exciting new neighborhood restaurants, Brookland’s Finest Bar & Kitchen, celebrates the season with new Happy Hour offerings and special fall menu items. Opened in June, this Northeast eatery serves classic American fare, a selection of local and regional craft brews, and cocktails—as well as iced coffee—on draft in a smart, industrial-cool setting. Renowned DC bar owners Tony Tomeldon of the Pug and John Solomon of Solly’s teamed up with Chef Shannan Troncoso, former Executive Chef of Matchbox Capitol Hill, earlier this summer to open their first dining destination. The trio has set out to create the ultimate neighborhood joint with Brookland’s Finest, welcoming families, professionals, students from nearby Catholic and Howard Universities, locals, fans and friends. 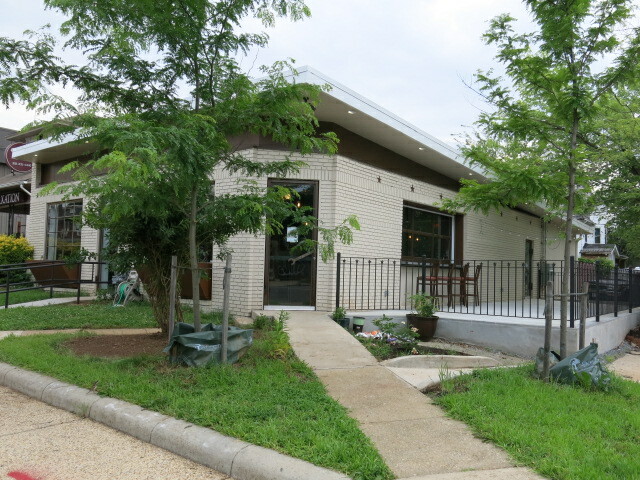 Whether stopping by to catch the game at the bar on one of four flat-screen TVs, lunching with friends on the patio, or enjoying late-night bites in the dining room, Brookland’s Finest offers a simple, yet surprisingly sophisticated menu, celebrating local flavors and seasonal ingredients. Happy Hour kicks off this week for both after work and late night gatherings. Available Monday through Thursday, 4 PM to 7 PM, the bar serves up select cocktails, beers and wines for $4, $5 and $6. The Late Night Happy Hour is also offered every night of the week from 11 PM until closing along with a limited Late Night menu. Just in time for cool weather, Chef Troncoso and her team add new flavors of the season. Featured fall additions to the menu include a Kale Salad with pumpkin seeds and blood oranges; Local bone-in Pork Rack with green beans and cumin spiced sweet potatoes; Porcini Rubbed Rib Eye Steak with smoked gouda cauliflower mash; Wild Mushroom Risotto with black truffle and chanterelle mushrooms; and Braised Beef Short Ribs with bacon-gorgonzola Brussels sprouts. For dessert, Season Fruit Cobbler with Moorenko’s ice cream, Beignets with local honey and a sinful Double Chocolate Cake round out the new offerings. These delectable dishes join the already popular “Lobster Tuesdays,” featuring market-fresh lobsters served with best-of-season ingredients, and the celebrated weekend Brunch including Eggs Benedict three-ways and Bay Shrimp and Grits. Troncoso also celebrates her Valdosta, Georgia roots this season with the Spiced Nut Sampler, which includes her house-made Boiled Peanuts.